Well that was brutal. Amazing but brutal! Would I do it again? Hell yes! The last 7 days have felt like a month. This is what living like a pro on a grand tour must be like. The Haute Route is like living in a bubble; eat, ride, eat, eat some more, sleep and repeat. The support from the organisation at TwoWheelTours was incredible. We had a guide on the road (Will who has ridden every Haute Route), a soigneur (Laurie) who arranged everything off the bike from internet to roast chickens to finish line drinks, a masseuse to take care of the body after the stage, and a mechanic who you give your bike to and it comes back washed and tuned after every stage. And I needed the service of each of them every day. On the road, you were surrounded by moto’s for safety, police, media, medical and tech support. Plus, there were Mavic cars, course cars and hundreds of volunteers who stopped traffic at EVERY intersection so we didn’t have to stop riding until the finish line. There were also supporter’s cars with music and coffee and inspiration every day. A true travelling circus! The feed stations were amazing if not weird, with ham and cheese and power bars and we had a Two Wheel Tour staff member there for us to check our bikes, fill our bottles and put sunscreen on us.It was also very humbling; I had come into this event well trained and felt I was in good shape for the event but I was passed going up and coming down every mountain by old French blokes that put my skills to shame – I figure they have ridden more Col’s than I have had hot dinners. So, the riding – I don’t think you can really prepare well in Sydney for the hours in the saddle required. 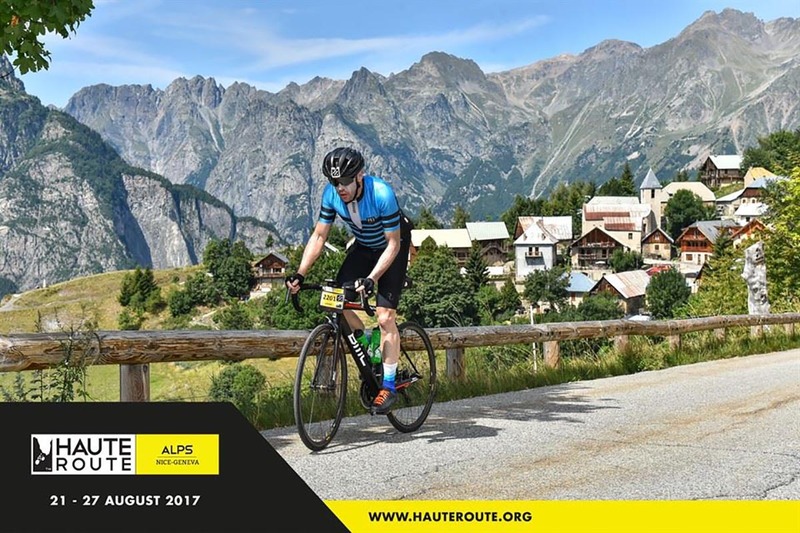 Long, long climbs in the heat, amazing scenery that moves from Mediterranean landscape to Swiss passes with tunnels, rivers, postcard villages and long descents. Every climb had km’s and km’s well above 9%. When I look back at 3 peaks and think about the brutal climb at the back of Falls Creek that arrives at 200km into that ride, well we had sections of that on nearly every climb. No number of repeats in and around the 3 Gorges in the North of Sydney where I did most of my training can simulate the climbing we did. Our plan had been to try and build through the 7 days allowing for accumulated fatigue to play a large part in my preparation. I held around 70-80% FTP (My FTP was 252w@ 68kg) and this put me exactly in the middle of the field. For some perspective, we had an Australian NRS rider in our group who was in the top 10 each day and was climbing at 280w all day every day. I am sure everyone would say the same for preparation – next time 4kg’s lighter and 30 more watts FTP. The most surprising thing was the amount of food you had to eat – eating until you couldn’t fit in anymore, and then eating again. We had massive breakfasts, lunch off the bike at around 2 or 3pm and then a snack and then a 3-course dinner – it was like a competitive eating contest every meal and I still lost weight. My aim was to finish in the middle of the group – check; look around at the scenery – check; and have fun – check. Performance by 3 is an Australian based multi-sport training squad coached by Chris Hanrahan, catering for all athletes.